Can you describe your site? With CRERAYS, tenants in the market tell us, in detail, what requirements they have and we send those requirements on to real estate professionals who have signed up with our site. There is no cost to receive notifications. If a real estate profession is able to fill those requirements, they respond with a custom proposal and work directly with the customer. Actovia is a subscription-based program for commercial real estate and finance professionals, and as well as deal syndicators,banks, analysts, and anyone who services commercial real estate owners with their services. Our deep and comprehensive data sets that include property financial and owner contact information serves as a lead generation and research tool. Our exclusive data and easy to navigate user interface makes us the go to site for anyone looking to feed their deal pipeline. Can you describe your site? QuantumListing is a mobile-first commercial real estate listing solution for brokers and tenants. Anyone can search all of our users’ listings without having to pay, and Premium Members can post an unlimited number of listings for the same low price. On our mobile app, the buttons to call and email the owner or listing agent are front and center so it is incredibly easy to reach out for more information. We’ve also made it easy to share listings via email, SMS and social media, and take that one step further, by sharing your listings for you to our social networks. We are seeing a great amount of interest from CRE mortgage brokers in our platform. Brokers view RealAtom as a lead generator. Next month, we are launching a broker directory which will to be able to match borrowers with the most relevant brokers with its rating system. Can you describe your site? We are a true marketplace, connecting supply and demand for commercial real estate assets, firms, and professionals. Atop an intuitive (and free) list and search platform, we have built modern digital and social marketing capabilities and performance analytics for our paying subscribers. What problems are you solving for real estate professionals? We connect professionals to their needs in a fraction of the time, at a fraction of the cost and in ways never possible before. 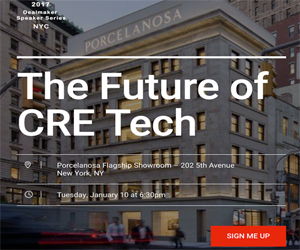 From time to time we at The News Funnel come across truly unique players in real estate tech – innovative entrepreneurs addressing industry challenges with tools or approaches unlike anything else we’ve seen. One such example is a Founder we recently met, with a surprisingly simple solution to a universal problem. Her name is Poonam Mathis, and in the language of their website, the StealthForce team is “disrupting the human capital component of the real estate investment equation – one project at a time.” She’s addressing a need that we think more than a few of our readers can relate to. 1. What is your favorite real estate app? 2. What device do you use most and what kind is it? 3. What is your favorite social media site? 4. What website is your guilty pleasure? 5. If you could work at any tech site in the world, which one would it be and why? My favorite real estate app is definitely Hotel Tonight. I live on airplanes so booking great hotels as a deep discount in seconds is a lifesaver. I use my iPhone for pretty much everything. In terms of Social, I'm a big Instagram fan. My guilty pleasure is Surfline.com, I'd always rather be surfing. I'm living this one everyday, there's no place I'd rather be than the platform the entire CRE community is standing behind, VTS. The News Funnel and Hightower. The News Funnel keeps me up to date on the news of the day and Hightower allows me to be up to date with the leasing activity within the landlord rep side of my practice. Both provide up to the minute information at the tip of my fingers. How can you not love that? iPhone 6 Plus. I tried the Samsung, but came back to the iPhone after a year and I love the larger screen. Maps and video are so much easier to read. Facebook. Lots of noise on Twitter and LinkedIn. Facebook is great for keeping up with friends and family and showing off pictures of my kids. Not sure I have one other than Facebook. I do spend too much time on CharityBuzz looking at expensive things I’ll never buy. TNF so I could hang out with Michael Beckerman. If not there, I’d want to work at a sports site like Grantland. The News Funnel because real estate is the best industry, so why look elsewhere? I use CoStar Go quite frequently but my News Funnel App is a close second. I literally sleep with my iPad…well not really, but my wife has accused me of that. I just love the ease with which I can navigate to all of my sites/apps, check email, conduct social media activities…and of course record all of those Tuesday Traffic Tips! Facebook. I am able to keep up with friends, family and events. I get a lot of my sports news from Facebook. I also can post pictures/videos of our goofy Labradoodle, Hank. Buildout, theBrokerList, or The News Funnel…equally. Those three seem to be the BEST in class for their respective audiences and I have deep admiration for their culture and principles. Well, aside from CompStak, I think there are a lot of great real estate apps out there. I think what VTS is doing is awesome, and am excited to see what else they can build with their new Series B funding. That said, I don't use a whole lot of real estate apps anymore, I use business apps - Slack, Salesforce, Rapportive, Intercom, Google Apps, etc. My Laptop. It's a Macbook Pro. I have an iPhone, and an Apple watch, but I'm pretty much permanently attached to my computer. I don't have the patience to try to do real work on a small screen. COMPSTAK. Assuming I have to choose something other than CompStak, I would have to say Tesla (although it's not really a "site").